Learning from Life: When your heart hurts! Some things in life really hurt your heart, that is an ache that is hard to explain in words. 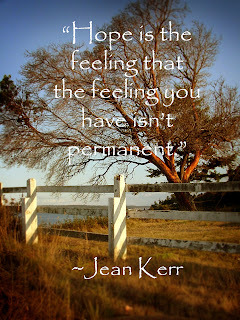 Once you have felt it, you then can begin to understand when others talk about it. It helps you have more compassion. I wish life wasn’t so hard, it seems though that a life worth living…truly is a life with challenges and struggles. I know that I can’t take someone else’s hurt away, any more then they can take mine; still like I mentioned last night, I can pray for them. Pray that they can hold on, until they finally see that light of hope in the distance. 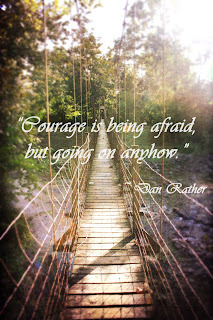 I love this quote I found from Maya Angelou about Courage, so true. Here are a few more of my favorite quotes and photos. Hope you enjoy them, and that your heart hurts a little bit less after really reading and thinking about them. I think there are times when we have to hold on to our HOPE that things will get better, it takes a lot of faith to have HOPE though! How many times I let fear paralyze me. I just didn’t move, but I realize now I needed to have courage and just keep going any how! I have heard it said many times, we don’t really learn what we need to learn until we hit rock bottom. I always thought that sounded a bit harsh. 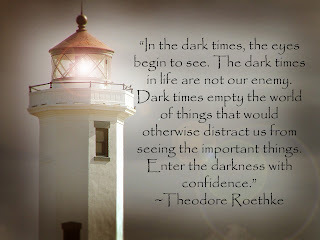 I love this quote and how it talks about the Dark Times in our lives as a great opportunity to see more clearly! I know personally that this is true.